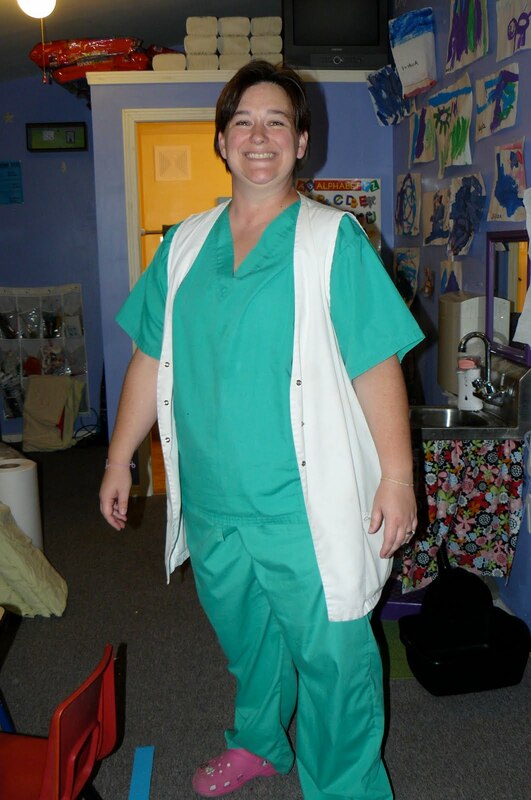 Dress up play is so important . Do you remember playing dress up when you were a small child ? Randy is 58 and still talks about the day he put on a cape and thought he really could fly. There is so much to learn in the dress up room. Here is an excerpt from SMART START The Parents’ Guide To Preschool Education by Marian Edelman Borden, Published by Facts On File. The housekeeping/dress-up corner should be stocked with play items and props that encourage young children to play make-believe. Look for pots and pans, stuffed animals, dolls (soft, unbreakable, washable, and multiethnic), toy telephones, hats, purses and tote bags, unbreakable tea sets, doll beds and carriages. What’s Learned Playing make-believe lets a child bring the complicated grown-up world down to size. Research demonstrates that children who are active in pretend play are usually more joyful and cooperative, more willing to share and take turns, and have larger vocabularies than children who are less imaginative. 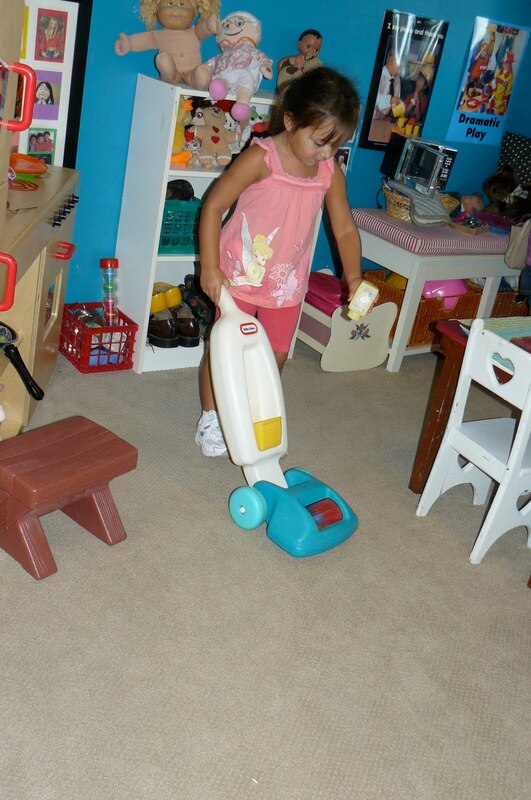 Imaginative play helps youngsters to concentrate, to be attentive, and to use self-control. Think about how a child develops a game of supermarket. He must first set up the counter, put out the pretend cans of food, invite friends to shop, use the “cash register,” and bag the groceries. All of these actions help a child to learn about sequential acts. He also has a story or script in mind that helps him to perform each of these steps in a logical and orderly way. When children pretend they also learn to be flexible, substituting objects for those they do not have. For example, a child will use an empty paper towel roll for a telescope. Through imaginative play, children learn empathy for others. 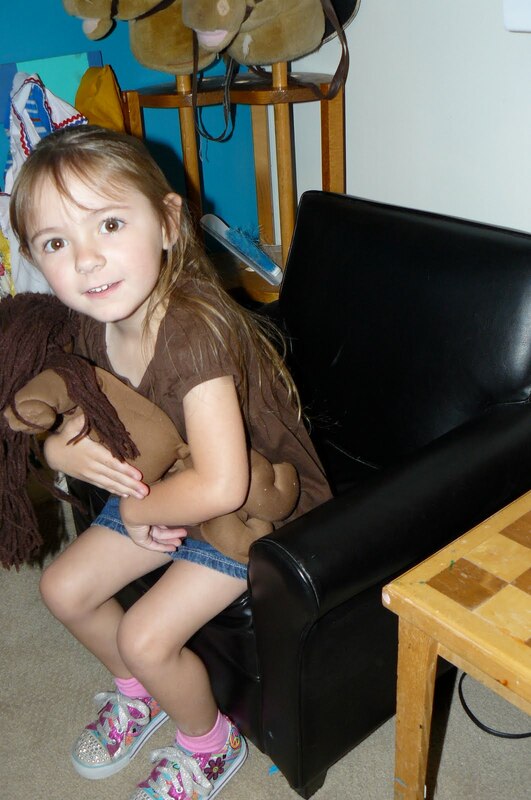 Children will often act out a whole range of emotions when playing pretend, offering sympathy for a stuffed “doggie” that is hurt or for a doll that fell off a chair. We watch them scold a puppet for being naughty or tell a doll how proud they are because she used the potty. Dramatic play encourages children to think abstractly, which is an important prereading skill. Children come to understand that words represent ideas. Some other things we did today! n index print of your child’s new friends. It is a great idea to talk about your child’s day and include names. It tends to bridge the gap between home and school. Orrin is not on this index print. I had to do his picture seperate – sorry Orrin ! We took name plates with our names printed on them and made puzzles ! Please practice this at home and talk about the letters in your child’s name. We took pictures and made puzzles ! And lastly, today I introduced Al to the kids. Last year we had Allie who helped me teach a social emotional curriculum to the kids. I think some of the lessons were pretty good so I am tackling a few at the beginning of the year so we can reap the benefits. Today we talked about being a friend. Watch for some important self control techniques coming up ! Awesome robot! Rosanna told me she had painted on the easel and that she wore a "coat". She also told me what she had painted and what you said about it. I was so exited to hear her telling me all the details. She is enjoying it so much. Thanks Debbie for your hard work!! Great process (and a pretty great product, too!). Your last statements sum up what preschool learning is all about…thinking, talking, working together, making mistakes, figuring it out. These guys are off to a great start! Great post – I have been contemplated how to incorporate this more myself. I'm so glad you are back! I have missed you this summer!